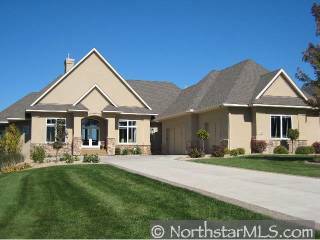 ENJOY MAIN LEVEL LIVING ON THE WILDS GOLF COURSE IN THIS EXECUTIVE NEIGHBORHOOD. RELAX W/ 4+ BED, 5 BATH ON >5000 SQ FT FIN. DON'T MISS THE GREAT ROOM, HUGE KITCHEN & WALKOUT LOWER LEVEL TO POOL. ALL UPGRADES HAVE BEEN DONE THROUGHOUT AND DON'T MISS.